CURTAINS: Canada’s Elegantly Chilled Answer To The Giallo – Schlockmania! By conventional standards, Curtains shouldn’t even be watchable. It was the result of a tormented production, complete with artistic disagreements between the director and the producer as well two separate shoots spread out over a couple of years. By the time it made it to theaters, the resulting film had been comprehensively rewritten to the point that it opened and closed with 35 minutes worth of scenes not in the original script. The end product was disowned by director, cast and several crew members. 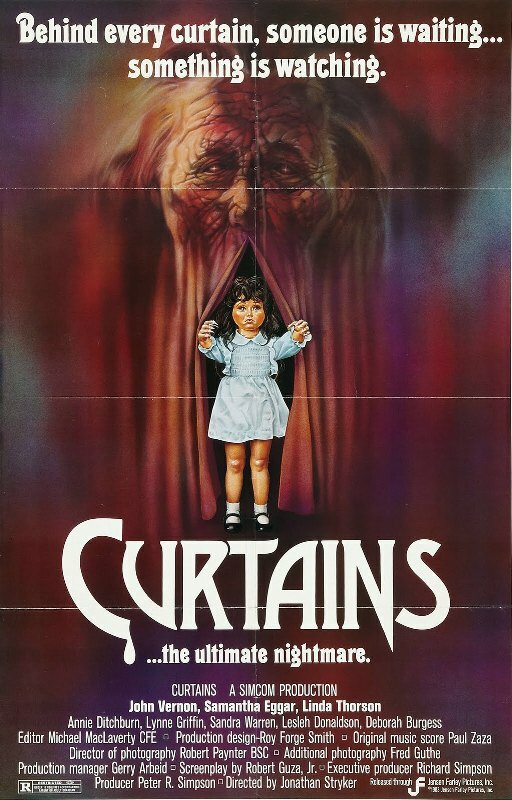 And yet, Curtains has attained a special cult status amongst fans of ’80s horror. Despite the chaos of its production, the film boasts a unique combination of additional factors that give it a stylish, haunting feel that easily allows to stand out from the remainder of the early ’80s slasher glut. In fact, you could say it is the Canadian tax shelter film system’s answer to Italy’s giallo film. The premise of Curtains is as twisty as a drawing-room mystery. 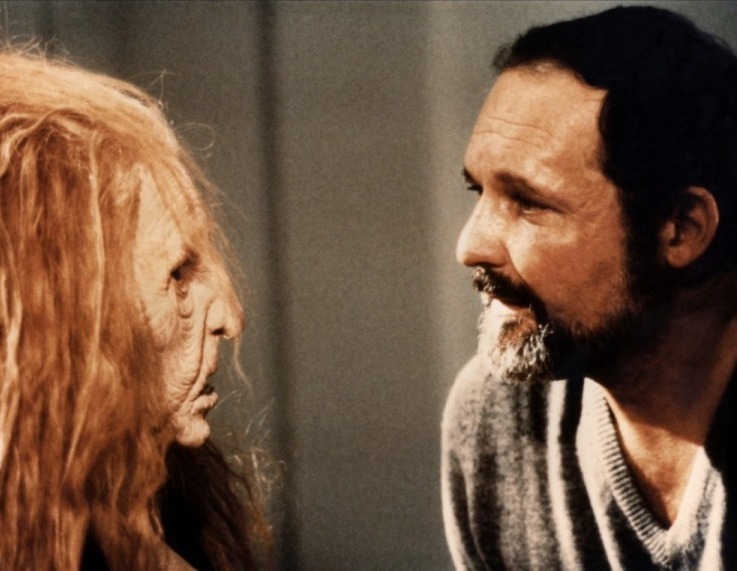 It borrows a page from Shock Corridor for its opening, which has Machiavellian director Jonathan Stryker (John Vernon) committing actress Samantha Sherwood (Samantha Eggar) to a mental institution. Though she is pretending to be insane, she is actually just researching her leading role in Stryker’s next film… or so she thinks. Things get grim in the institution and Stryker begs off on getting her out until he can finally abandon her. A short while later, Stryker invites a variety of actresses to audition for the part originally intended for Samantha: the roster includes stand-up comedienne Patti (Lynne Ramsay), ingénue Christie (Lesleh Donaldson) and emotionally brittle pro actress Brooke (Linda Thorson). Stryker has all manner of head games planned for the prospective leading ladies and those games become further complicated when Samantha gets out of the institution to join the group audition. Needless to say, the part these ladies are willing to fight for ends up become one that many will die for before the tale reaches its grim finale. Though it was marketed as a slasher film, Curtains stands apart from that subgenre in many ways: the characters are adults instead of slasher-flick teenyboppers, the dialogue is wittier, the psychology is more complex and there is a deliciously malevolent sense of play in how it handles the razor edge between reality and psychosis. Screenwriter Robert Guza Jr. went on to a long career writing and producing soap operas and his characterizations and dialogue show a flair for the charming bitchiness that fuels that genre. Transposing that style to the slasher film, a genre not usually known for such narrative panache, gives the proceedings a definite lift. Curtains also has a dreamlike style that normally eludes the more workmanlike approach of the slasher movie. Direction was divided between cinematographer/first-time helmer Richard Ciupka and producer Peter Simpson (who helmed the new footage that opens and closes the film). Despite the split-authorship – or perhaps because of it – the film has an eerie feel of a Freudian nightmare, complete with a killer in a haggard “old woman” mask and a creepy doll intruding upon the grown-up nightmares that its cast are dealing with. Slick lensing from Robert Paynter and an elegantly creepy score from Canadian horror vet Paul Zaza help build the atmosphere the film’s ever-shifting mood relies upon. Finall y, Curtains boasts one of the finest casts in anything ever marketed under the “slasher” banner. Vernon has one of his better ’80s-era roles here, using his steely, imposing presence to great effect as the manipulative director, and Eggar makes the ideal foil by giving an opposing performance that is elegant yet fueled by its own quiet fire. 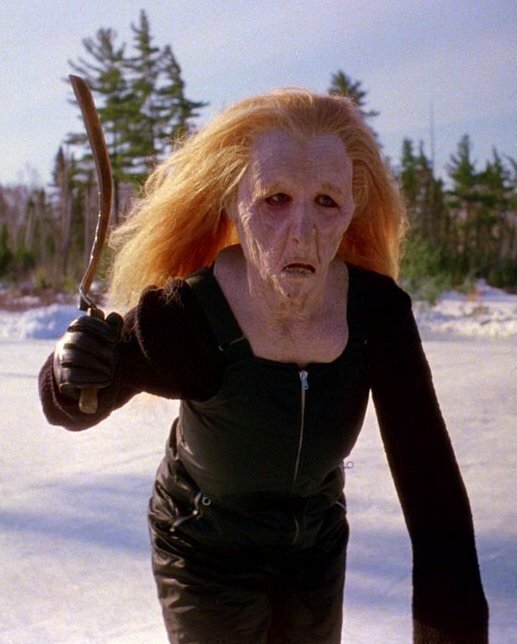 Elsewhere, Ramsay is charming as the wit of the actress group (she also gets a great straight-drama scene with Vernon) and Donaldson gives her scream queen all in a scary setpiece on a frozen lake. Fans of Canadian fare will also want to keep their eyes peeled for a brief cameo from Kate Lynch as a secretary and Maury Chaykin in a scene-stealing bit as a flamboyant agent. In short, Curtains is a forgotten gem that deserves to be rediscovered by fans of ’80s horror, a film with a style and hypnotic power that belies its “slasher” tag. If Dressed To Kill is America’s answer to the giallo film then Curtains easily qualifies as Canada’s response to this style.